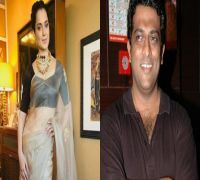 Kangana Ranaut and Rajkummar Rao's second collaboration, Mental Hai Kya will now be released on June 21. The filmmakers and the cast have released a new poster of the movie at a time when the teaser was expected. Mental Hai Kya is a black comedy and as its name and initial posters suggest celebrates imperfections and the craziness that lies within oneself. The new poster too is in the same line where Kangana and Rajkummar are seen sharing a Blade placed on their tongue. The poster mentions 'sanity is overrated' which is precisely the subject of the movie. It's mental, it's mad, risky and moreover, it's all about being carefree and living life on the edge. For those unaware, the entertaining thriller was initially slated to release on February 22, then it was pushed to March 29. But looking at this new poster looks like the film will only hit the theatres on June 21. 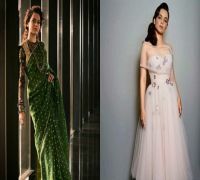 Kangana had once dropped hints on her character stating that one can never tell if she's hallucinating or things are happening for real in the film. 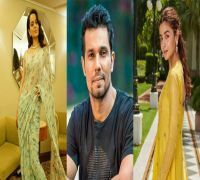 The delay for the release is not yet known but early reports suggest Kangana wanted a ‘breather’ between her recently released film, Manikarnika: The Queen of Jhansi and Mental Hai Kya. Produced by Ekta Kapoor, the film also features Amyra Dastur, Jimmy Sheirgill and Satish Kaushik among others.